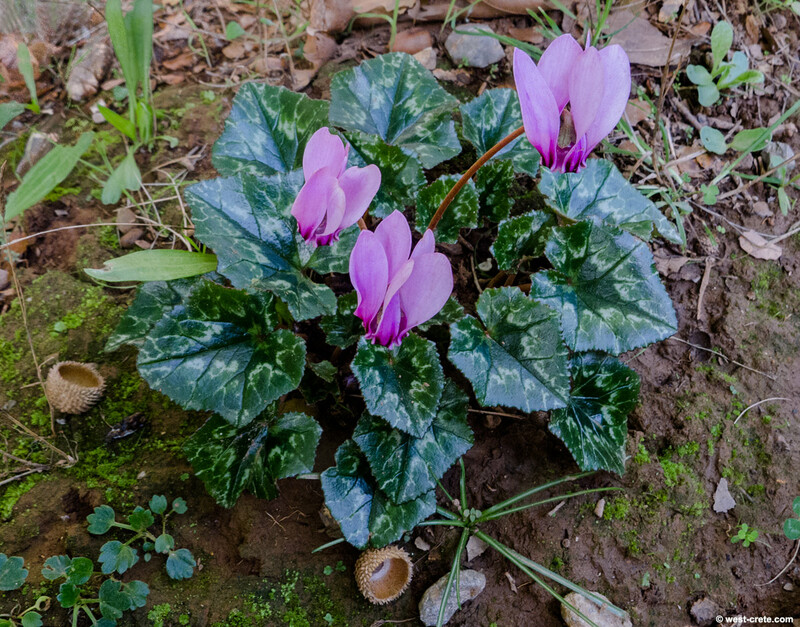 Cyclamen confusum (or C. hederifolium var. confusum) in the gorge of Sirikari. It is endemic to two gorges (Sirikari and Topolia) in West Crete.